With your K-Pod the specification is up to you, simply choose which Pod of the range suits your current needs. All Pods are designed so that as your needs change you can easily include whatever features you’re after – from installing a solar panel to gaining self-containment certification, if this is what you want you can have it! 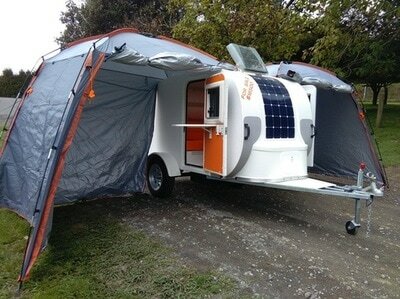 ​K-Pods are funky, compact super lightweight caravans that merge the best in cool with the convenience of comfortable camping. Enjoy the camper kudos without having to spend hours setting up your site, or having lots of maintenance to do in the off-season. With a fibreglass body that will never rust, the K-Pod is hassle free! 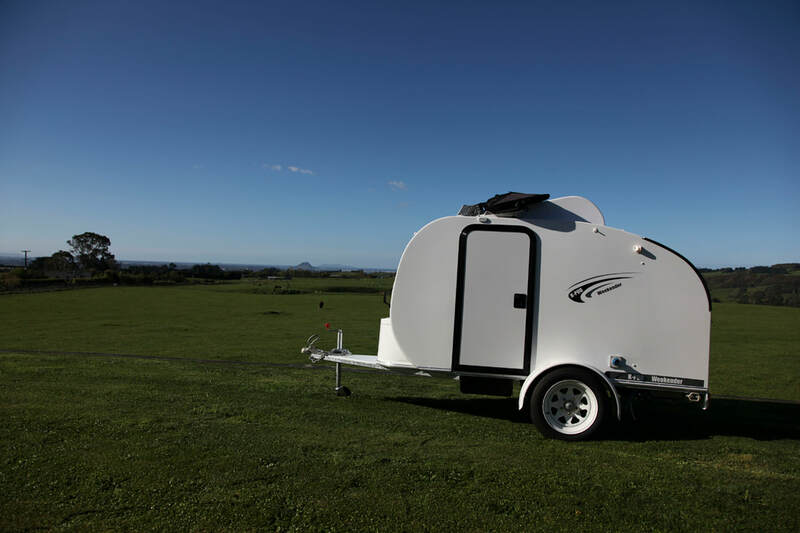 The K-Pod can give you a new view every day, from family breaks at the beach to a weekend festival crash pad, or the calm serenity of the Kiwi countryside for just the two of you. 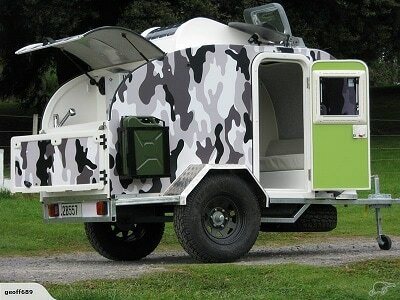 Handcrafted in sunny Tauranga, K-Pod channels the retro vibe, a modern take on the mini campers of the 30s and 40s. The one-piece fibreglass mould eliminates water leaks and the sleek curved design makes it easy to stow and very easy to tow. 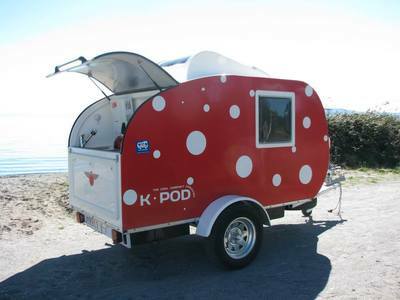 K-Pods come in white so you can add your own decals to personalise it to your style, with a full range of colour choices for the interior to make the K-Pod truly reflect your personality. With its smooth lightweight design, any K-Pod is a complementary addition to your journey!